Training and development refers to educational activities geared to improving the job performance of an individual or group within an organization. These functions typically involve advancing a worker’s knowledge and skill sets, as well as instilling greater motivation to enhance job performance. Common training practices include orientations, class room lectures, case studies, role playing, simulations and computer-based (e-learning) training. Before the Industrial Revolution, most skill training was done through apprenticeship. But with the growing number of factories in the 1800s, companies needed to train large numbers of workers at once, making the apprentice model impracticable. In the late 1800s, training programs within companies emerged to teach the mostly unskilled workers how to perform (what were then) new industry jobs. The first documented training and development program was in 1872 when New York-based Hoe and Company provided regular classes to train their printing press machinists. The push for company-sponsored training intensified in the United States and Europe during World War I and especially World War II when goods were quickly needed for the war efforts and combatant recruiting created a skilled labor shortage. During World War II the U.S. federal government established the Training Within Industry (TWI) program, a nationwide partnership between industry and the U.S. War Manpower Commission. TWI trained millions of new workers and supervisors needed for the large transformation to a wartime economy. After World War II, the federal government passed the Servicemen’s Readjustment Act of 1944: the “G.I. Bill.” Under the first ten years of the G.I. Bill, about 2.2 million veterans attended post-secondary education and 5.5 million participated in job training programs (1). This massive jobs training initiative helped to establish a corporate culture of training and development that has continued to the present, with increasingly diverse training methods. In the 1980s, several instructional innovations were introduced, including the Instructional Systems Design (ISD) model, on-the-job training, and the use of videos and simulations. When personal computers became prevalent in the 1990s, companies quickly adopted computer-based training, including electronic performance support (EPS) systems that provide on-the-job access to integrated information. The 2000s brought widespread access to the internet and elaborate e-learning systems. Today’s corporations have discovered that it’s no longer just about what employees need to know, but also when, where and how the development experience enables performance. EPS systems are migrating to mobile devices where a multitude of apps provide “just-in-time” information and recommendations to workers – especially field workers – in a variety of industries. Companies are also turning to cognitive solutions, such as artificial intelligence (AI) software to keep pace with the rapidly changing skills required for today’s workforce. AI systems can process unstructured information similar to humans. These systems understand language patterns and sensory inputs, including text, pictures and auditory cues. Because of these capabilities, AI-based software can deliver individualized content adjusted to employee needs and preferences – encouraging an employee’s continuous development. Why is training and development important? Corporate training and development is more than a $140 billion industry. It crosses over into the $300 billion marketplace for college degrees, professional development and secondary education around the world. Thanks to the emergence of cognitive solutions, all these programs are being reinvented for digital access – enabling employees to learn like never before. More productivity. When employees stay current with new procedures and technologies, they can improve both their efficiency and productivity. Employers can realize cost savings through needing fewer employee hours for a task or increasing output per employee-work-hour. Less supervision. If employees feel confident to perform a task, they typically require less oversight and can work more independently. Uncovering employee potential. Training and development can allow employees to share their ideas with management. By establishing a dialogue, employees can participate in developing better work plans. This communication also helps to identify employees with leadership and management skills that can create a pipeline for internal promotions. Greater job satisfaction. Employees who have access to consistent training opportunities may feel more a part of the company. Well-trained employees gain confidence in their abilities, which can lead to greater job satisfaction, a reduction in absenteeism and overall employee retention. Attract the best employees. Top recruits are attracted to firms where there is an identifiable career path based on consistent training and development. Many potential employees seek out employers who provide an environment where employees can improve and learn new skills. Increased consistency. A well-organized training and development program ensures that all employees have the same knowledge of tasks and procedures. Tasks are carried out uniformly and result in final products or services having a reliable consistency that end users can trust. Reduction in learning time. Employees learning through trial and error take longer to master a skill – and they may not use the preferred method for completing a task. Regular training and development ultimately reduces learning times. Better camaraderie. Training and development helps to create a sense of team work, team spirit and inter-team collaborations. Well-motivated employees tend to be more productive employees. Improved employee performance. Employees who receive consistent training and development can better perform their jobs. Competent employees who are trained to meet current industry standards help a company hold a position as a leader and strong competitor within an industry. Decreased errors, increased safety. Many errors happen because an employee doesn’t have precise skills required for doing a particular job. Errors can also lead to safety issues contributing to lost work hours from injury. Continuous training and development can ensure employees have the needed skills to perform a task safely, with fewer errors. Ability to cross-train. Providing consistent training creates an overall knowledgeable team where employees can take over for one another as needed. Added source for innovation. Consistently-trained employees can participate in developing new strategies and products – contributing to the company’s bottom line and continued success. A variety of companies are using advanced training and development software, so employees stay current with their skill sets. One example is IBM. IBM wanted a training catalog that remained relevant to its global workforce of more than 375,000 employees. In 2016, IBM introduced “Your Learning” – an internal tool powered by IBM® Watson™ cognitive technology that provides access to personalized talent development strategies for every employee. The site curates tailored learning based on a user’s preferences, job history and career goals. With 30,000 learner transactions a day, Your Learning searches relevant structured and unstructured data from more than 30 internal and external sources. 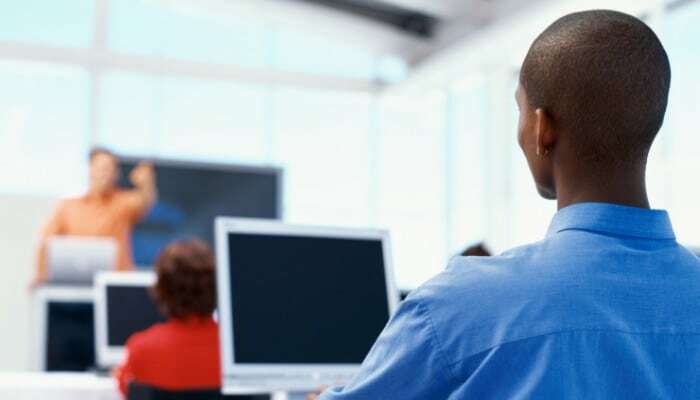 This training and development software brings together current online content, classroom training and key resources – allowing employees to build knowledge anytime and anywhere. Talent Development Services from IBM provides personalized recommendations for employee learning based on role, preferences, personality insights and career plans. These solutions create personalized learning environments with the ability to know, understand, engage and anticipate learners throughout their learning lifecycles. IBM® Kenexa® LCMS is a widely deployed and successful Learning Content Management System (LCMS). Many organizations use it to develop, manage, maintain and deliver modular and personalized training for their employees. Discover the advantages of using eLearning in place of conventional methods. Learn how Goodwill equips employees with the skills they need to then help others. Learn about how the human resources industry is in the midst of a huge shift in how it thinks about employee training and learning. Discover how to ensure that employees stay perennially up to speed, so an organization remains competitive. Find out how skills drive performance results and how IBM is building skills for a smarter planet in partnership with IBM Global Training Providers. Gain insight about how lasting job creation will require an understanding of important new dynamics in the global labor market. In this Forbes article, discover why IBM employees consume an average 60 hours of professional education a year. Learn how companies like IBM are moving to adapt their commercial AI tools for use in upskilling employees. Expand human expertise, empower HR to improve people’s impact on the business. Optimize your HR organization to address and overcome your most pressing HR challenges. Improve engagement and enrich the customer experience with a personalized, authentic employee experience. Build a digital workplace with more personalized customer interactions and a multidevice, collaborative employee environment.